Another month has come and gone and we are so much closer to end of 2015!!! I'm so excited aren't you?? Because it means fall, Halloween, My Birthday, and of course CHRISTMAS!!! Can you tell fall is my favorite time of year??? That's so crazy. Well since it's gone here are the books I have read, the reviews I have written and a recap of all the awesomeness that came my way. May was BEA month and I got a whole ton of books and I can't wait to dive into all of them. I've added a few in here. As you can see I put a dent in my list this month, I pretty much stuck to it. The letter "c" worked for me this month and I cranked out a few books from there. I only have three more left from my NetGalley list so I'm going to add those to next month's reading list. I had a pretty good month. I can't wait to get to some of the books on my shelves, next month is going to be awesome because I'm going to several really good events and I can't wait to share them with you!!! 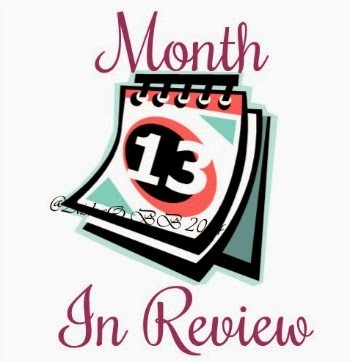 What'd you read this month?? Share in the comments down below! !